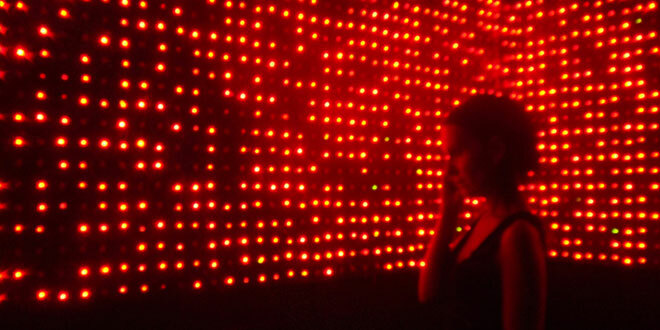 Cell Phone Disco is an experimental installation made out of flashing cells. By multiplication of a mobile phone gadget, only slightly altered consumer product, we created a space to experience the invisible body of the mobile phone. Since 2006 we have been cooperating with number of engineers, produced several versions of the installation, exhibited in many countries and Cell Phone Disco has been featured in number of books & publications. For more information visit the Cell Phone Disco website. In collaboration with Auke Touwslager, Informationlab.org.